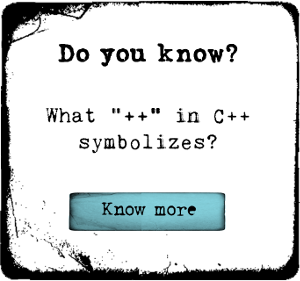 C++ programming language can be categorized under many topics. Some say its a general purpose programming language, some say its a object oriented version of C, but above all i liked to categorized under system programming language. One characteristic of any system programming language including C++ is that language should be able to execute faster compare to other languages like java etc. C++ paradigm took sharp turn with the introduction of C++11 standards. The most notable difference with previous version is the introduction of new memory model. Memory model is the key part of any language, and the performance of all the functionalities depends on that language memory model. With new c++ memory model, we can exploit tremendous power of modern multi core processors. Programming a proper C++ code with better memory reclaim mechanism is tough task. But if we want to code thread safe code which can harvest underline processors true power is much more difficult task. In this course we will have in depth discussion on C++ concurrency features including memory model. We will implements thread safe data structures and algorithms, both lock based manner and lock free manner. Proper lock free implementations of data structures and algorithms will provide unprecedented performance output. Let me listed down key aspects we cover in this course below. 2.Lock based thread safe implementation of data structures and algorithms. 4.Lock free implementation of data structures and algorithms. 5. Proper memory reclaim mechanism for lock free data structures. 6. Design aspects of concurrent code.